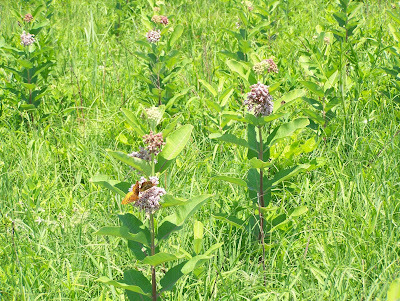 The common milkweed (Asclepias syriaca) is part of the milkweed family. 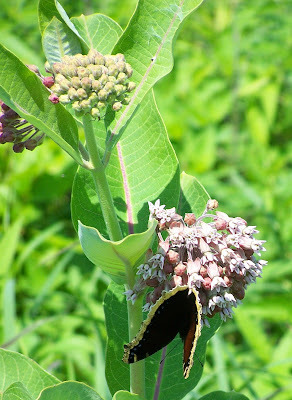 The genus Asclepias is one of my personal favorites. Some day I want to have an Asclepias garden, filled with different species. The name Asclepias comes from the Greek god of medicine, Asklepios. 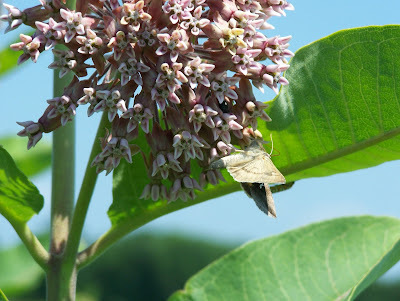 The common name, milkweed, comes from the milky sap that oozes out of branches or leaves that are broken off. 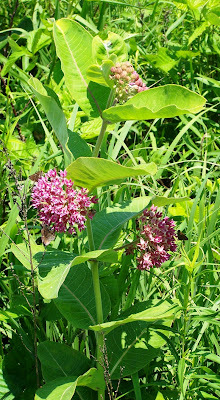 The common milkweed is just starting to bloom here in NE Kansas and it can be recognized large, lavender ball-like inflorescences (an inflorescence is a group of flowers). The leaves are broad and oval shaped. They are arranged opposite each other on the stem. 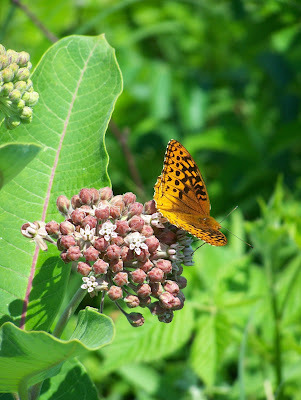 You can see, that butterflies love these flowers, as the plants produce lots of nectar and have a faint sweet smell. All of these pictures were taken today while I was doing field work. Most of the flowers are a dusky lavender pink color, but today out in the field I found one individual with flowers that were a much brighter pink. I have heard that you can eat the flower buds after they have been boiled. Hmmmm - maybe I should try it. In other news, while doing field work today, I was visited by the Lord of the Flies. 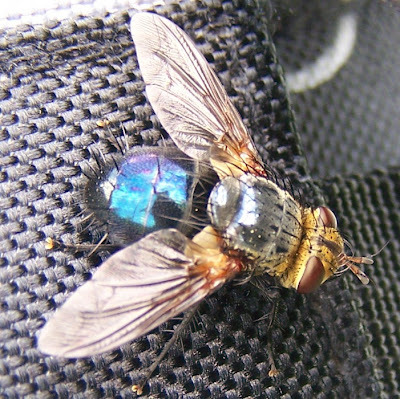 This fly was beautiful and really large (about 3/4 of an inch long).